Contents: Walking tour around the historical and commercial areas and a bit more further away towards the locals’ districts. The coffee is included the price. Interested in seeing and feeling the city a bit more off the beaten path? Our All Star Walk leads you through the historical Helsinki to the commercial area and the city’s most visited sight, Rock Church. On the way you will see a beautiful port and a busy Market square, spectacular museums, the modern Church of Silence, the Finnish Parliament and the Music Hall. The tour starts from the rounded end of Svenska Teatern -building, Mannerheimintie 1, Helsinki. 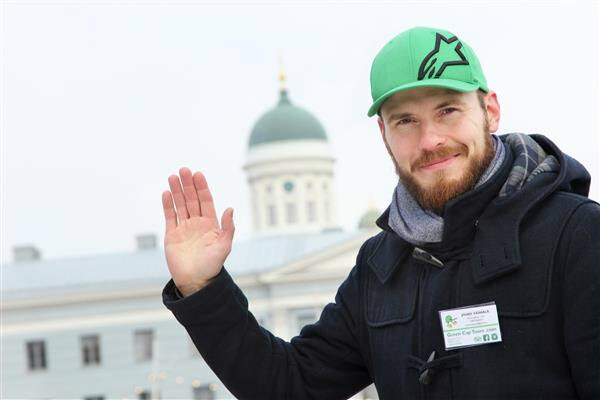 There you will meet your guide with a green cap. You’ll hear about the city’s past times and how the very tiny town was transformed to our capital city. 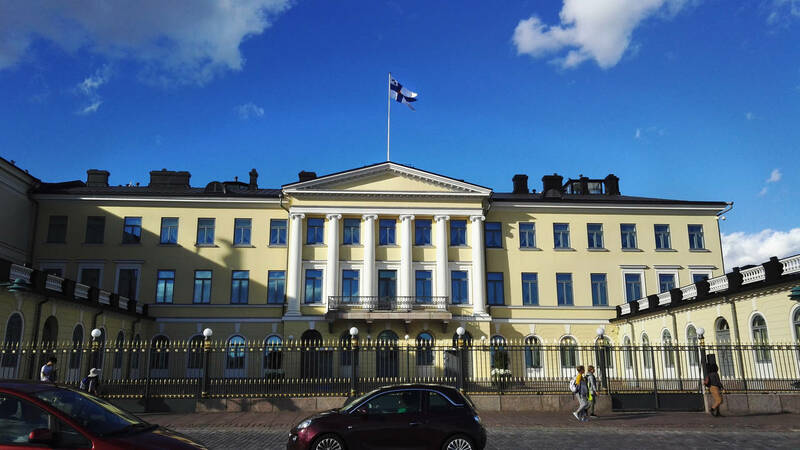 On the other hand, the tour will include a lot of contemporary details about the life and atmosphere in Helsinki. On your way you’ll see the largest department store in the Nordic countries, a classical French-style park and the beautiful port area from where both locals and tourists travel to the other capital cities around the Baltic Sea. You will visit the Old Market Hall and smell the scents and nuances of the local food. You will be able to taste the local pastries and fish free of charge. From the Market Square you can see the most visible sign of our Russian past, the Uspenski Cathedral. Other sights in this area are the Presidential Palace and the modern sauna / Allas Sea Pool recreational center. Witness with your own eyes that Finns do swim in the sea all year round. 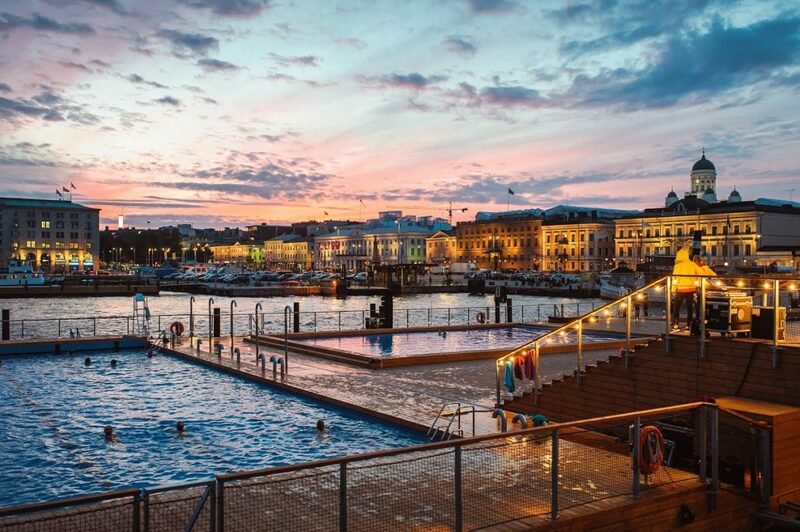 Acknowledge the importance of the role of sauna in Finnish culture and healthcare. For the brief historical review, we will walk to the Senate Square, which has been the central gathering place for centuries. You will learn how the city was built from a small village to a modern capital by a single German from Charlottenburg. 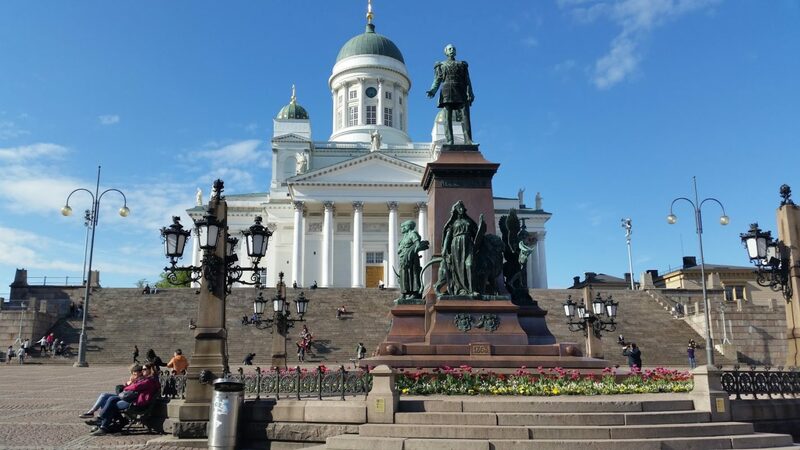 One of the main sights in Helsinki is the beautiful neoclassical Helsinki Cathedral, which is also called ‘the icon of Helsinki’. You will learn why the main entrance looks like it’s on the wrong side of the church. Who hasn’t heard about the marvel of Finnish education? Helsinki University is the peak of it. Our guides who have studied through the system will enlighten you on how the curriculum goes in practice. The guide will show you the very modern main library of the University of Helsinki which was built in 2012. The Central Railway Station is the busiest spot in Helsinki and generally referred to as the middle point of the city. 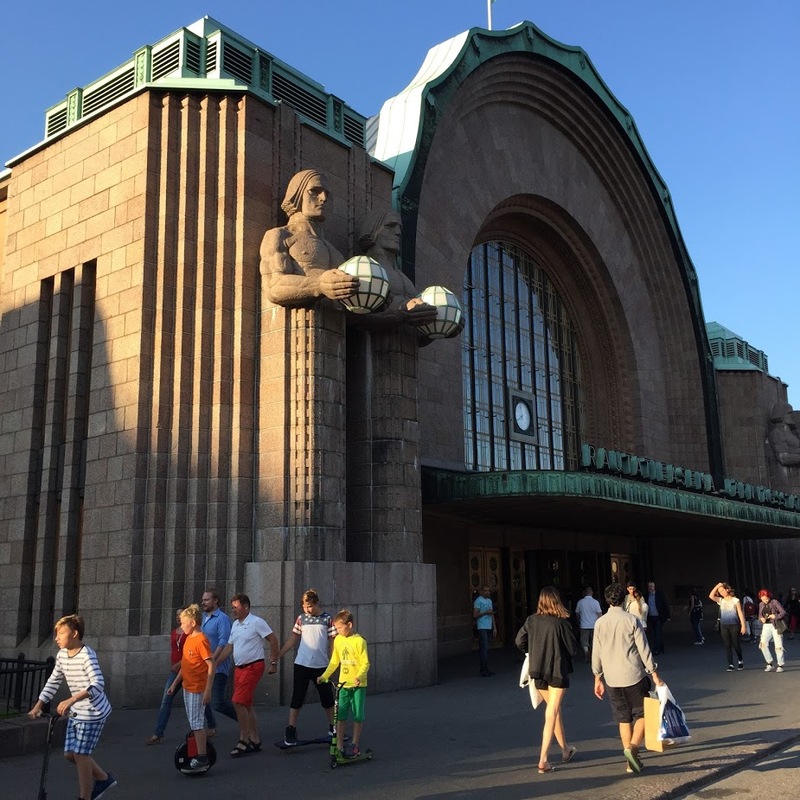 The massive stone-men which are guarding the main entrance have become the icons of railway traffic in Finland and they are animated in many TV commercials. The tour starts with the best thing, if you ask from locals, a coffee break. Did you know that Finns consume the biggest amount of coffee per capita every year? On the break you can rest your feet and meet other travelers. The (hot) drink is on us. The guide will recommend you to accompany your drink with something very local – maybe a cinnamon bun, a blueberry or lingonberry pie or a Karelian pastry? In the Nordic concept of a comfortable, yet productive life, coffee breaks are the main social fuel and have a huge impact on working life. Want to see classical Finnish works of art? Then the Ateneum is the place for you! On the wall you’ll see the text “Concordia res parvae crescunt”. What is it for? The Kamppi area is the other major transportation hub in the city and a major shopping mall. In the middle of the hustle and bustle, the Chapel of Silence is designed to provide a haven of tranquility. This modern church, built in 2012 entirely of wood, has received plenty of architectural awards. The next stop is Kansalaistori (Citizens’ square) which is a common meeting place for the locals. Around the square you can find the museum of modern art Kiasma, the recently built Music Hall, and observe the new national library being built (opens in the end of 2018). We will continue to the other side of the road to the Parliament house where the ruling power gathers. Our academically educated Finnish guides can answer your tricky question about politics and the current situation in our welfare state. As we move closer to the ending point, we will walk past the Museum of Natural History that has amazing collection of Nordic species on display. A must visit for the biology and nature enthusiasts. 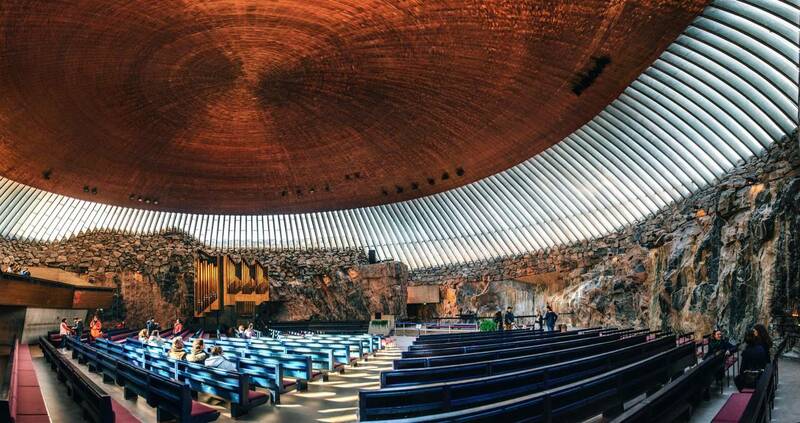 The grande finale of the tour is our unique Rock Church. Nowadays the church is the biggest tourist attraction on the mainland of Helsinki. Its unusual forms have been carved into the bedrock 1960s. The rock walls that are partly visible inside play a key role in producing the superb acoustics and therefore the church is a very popular concert venue. Note: Please wear proper shoes as we walk around 4.5 kilometers (no high heels). 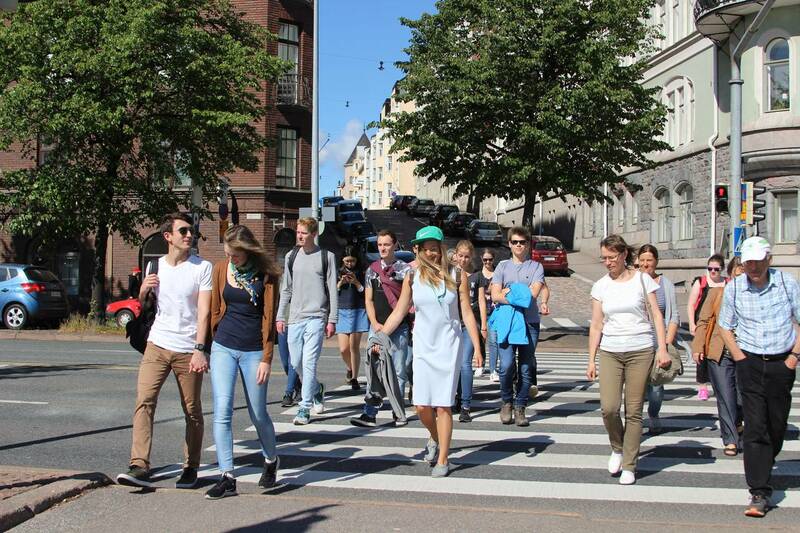 Murder Walk (R 13) — experience the dark history of Helsinki!